Content marketing infographic series covers three challenges that most marketers face today: scaling content production, creating a distribution strategy, and earning your audience. 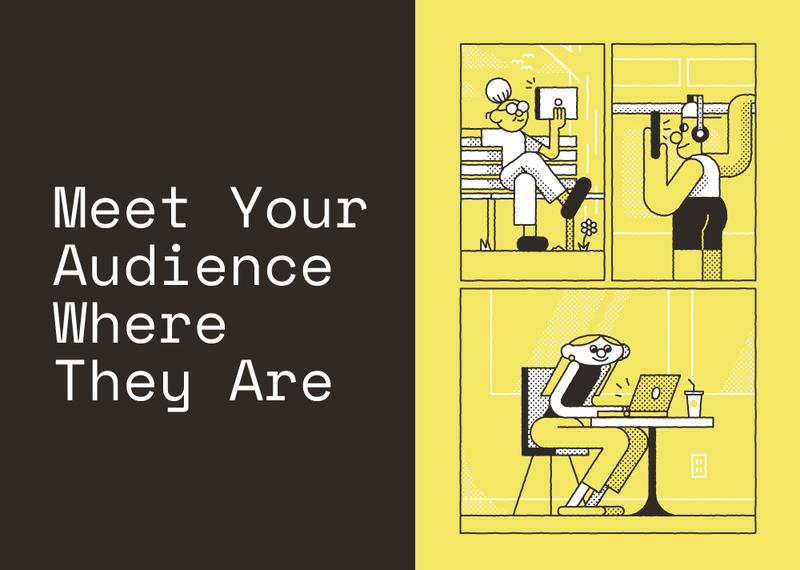 The infographic “Meet Your Audience Where They Are,” which dives into the tactics needed to build a solid distribution strategy. Analyzing data from our own marketing efforts, that employing a multi-touch strategy of public relations, social media, and email marketing almost always wins. By distributing your content across different channels, you meet your target audience where they are and extend your reach far beyond simply publishing a piece of content to your owned blog.